So have you seen the fancy new Gundam 30th Anniversary “Perfect Mission” Video? It features the original Core Fighter being helped along by various Gundams from throughout the franchise until it reaches its destination and forms into the RX-78-2. It’s one of the finest Gundam crossovers ever that’s not also a video game. What I particularly like about this two-minute video is how it doesn’t really try to play favorites with the Gundams, outside of choosing which specific Gundam to represent each series. 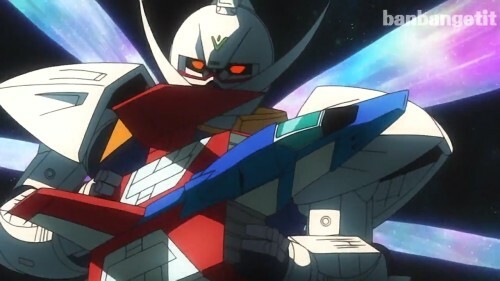 Despite SEED Destiny’s shortcomings for example, the Destiny Gundam is given its due. Wing Zero and Wing Zero Custom are displayed side by side to represent both Gundam Wing and Endless Waltz. There isn’t even any preference given to order; it’s not chronological or even in-universe chronological. All Gundams are presented as equals. And though I say it’s the best non-video game crossover in Gundam history, I gotta hope that future Super Robot Wars games might utilize the “Perfect Mission” Combination Attack to rival the Final Dynamic Special and the Choudenji Reppuu Seikenzuki.